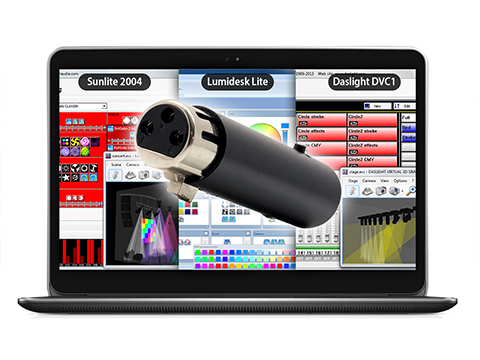 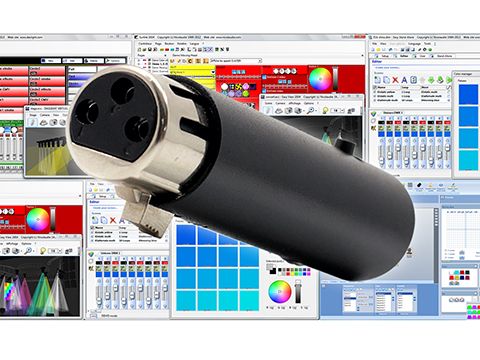 SUSHI-DS is the most attractive DMX lighting control package on the market. 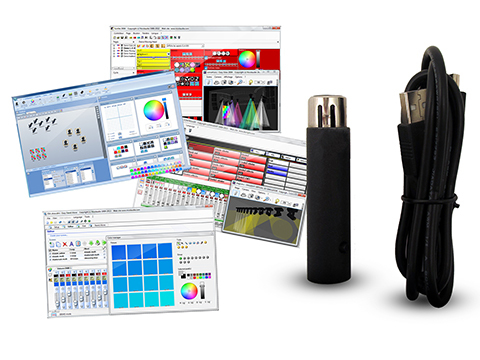 It’s only $39, with 128 DMX channels and 4 software included. 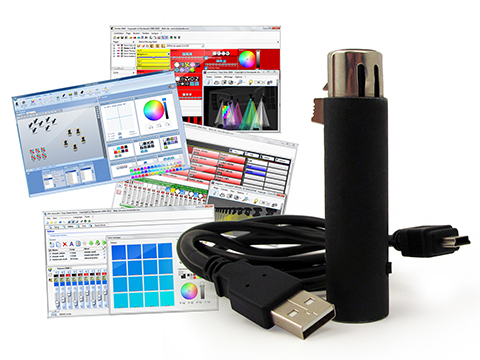 Transform your computer to a professional lighting controller! 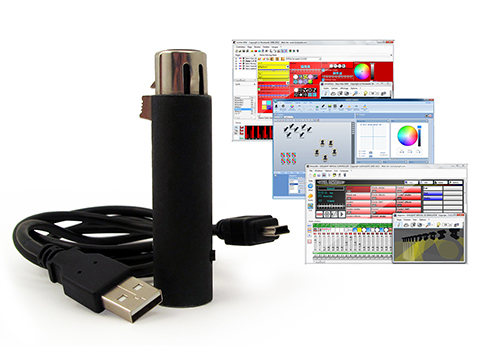 The SUSHI uses high quality hardware designed, a world-class design : stand alone, metallic box, USB, XLR 3 pins, 128 DMX channels, expandable to 512, 2 indicators, one button. 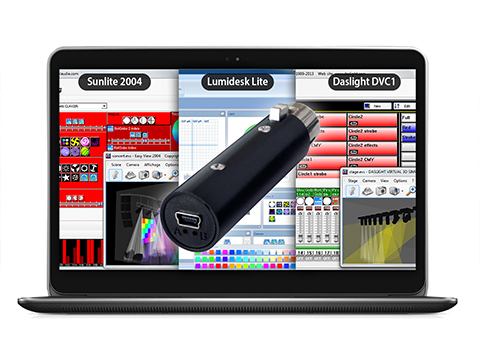 SUSHI stands for "Sunlite Universal Smart Handy Interface". 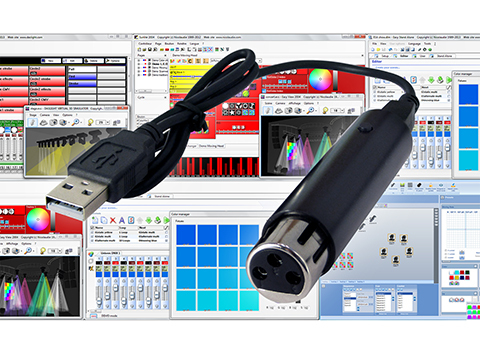 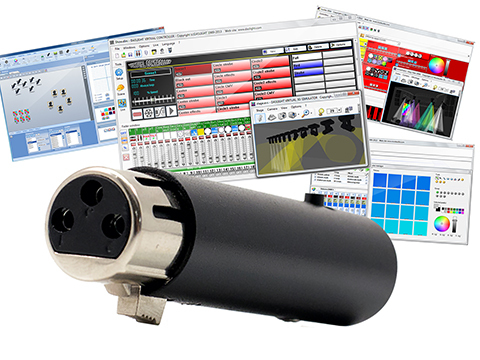 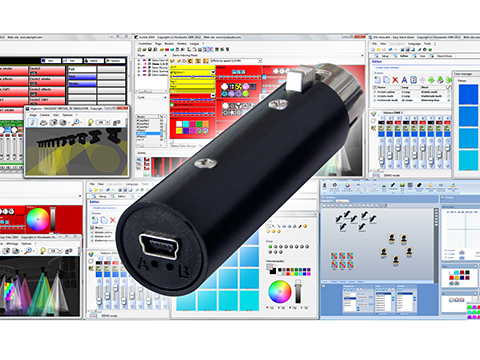 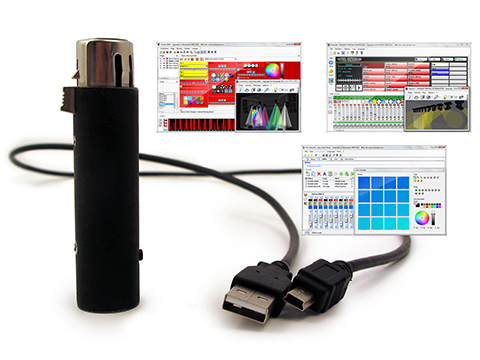 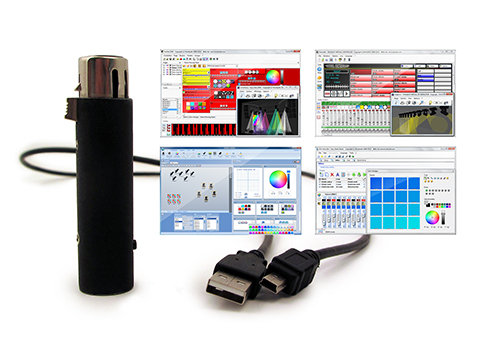 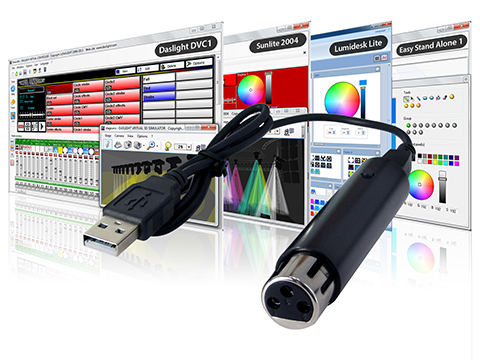 The USB-DMX interface is compatible with Windows, Mac, Android (32bit et 64bit). 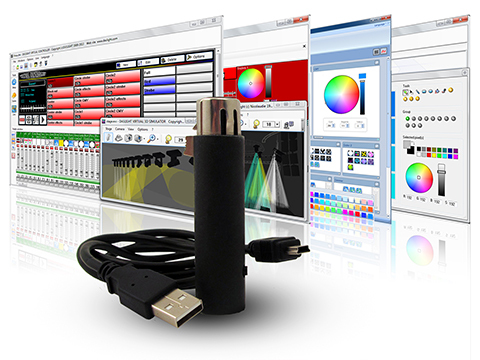 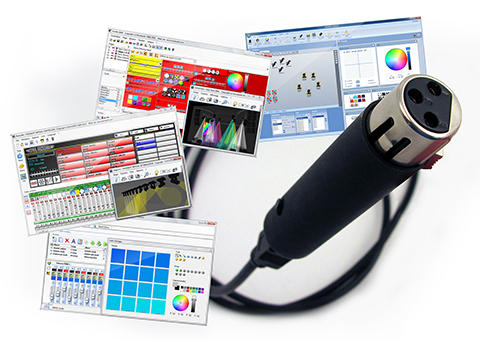 With the cross-platform Developer Kit and the SUT Upgrade Technology, DmxSoft is able to offer the most popular DMX software in the world. You don’t have to stay with the same software for 10 years. 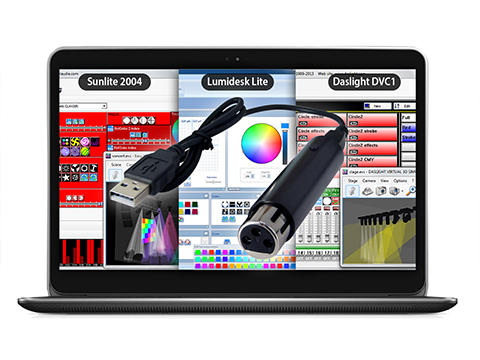 With the Smart Upgrade Technology (SUT), you can jump to any of our more recent software you like at anytime. 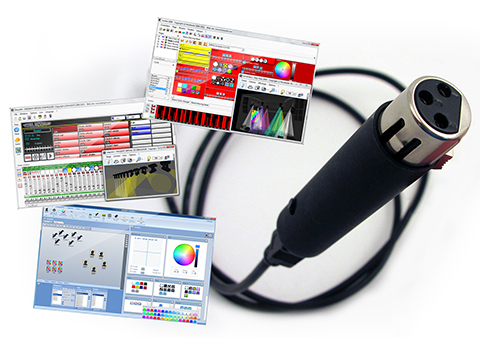 And with the one year licenses, you pay less! 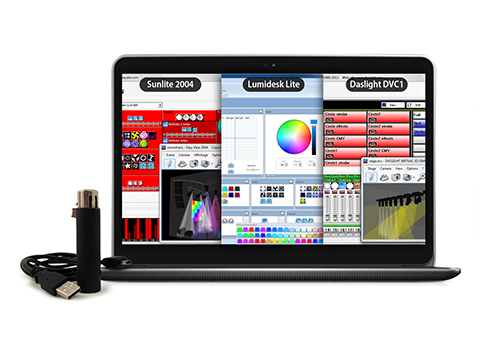 Enjoy 30 days free with all optional software. 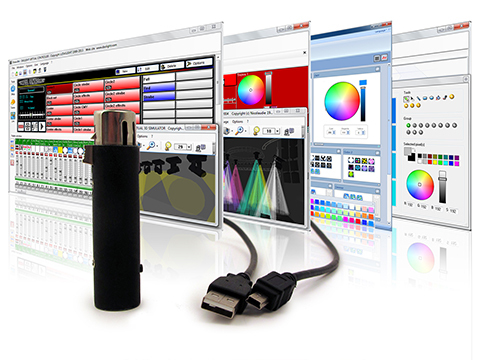 You can test and compare all software before deciding. 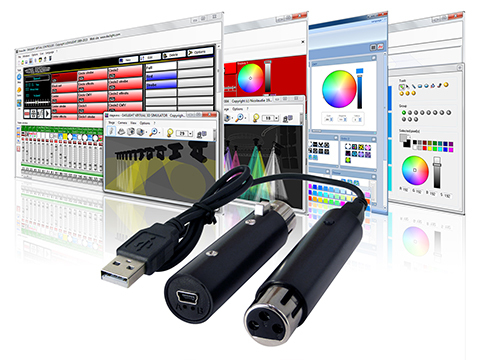 With this exclusive DmxSoft service there are no surprises, you can choose and purchase the perfect software for you. 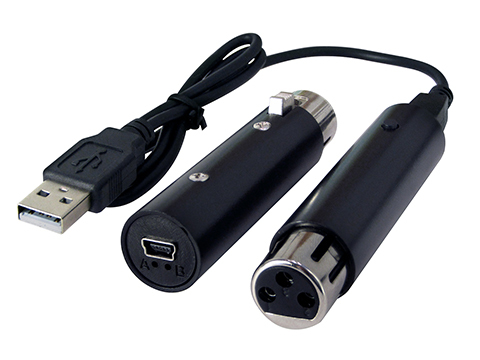 DAPATKAN SAMPEL UJIAN SEKARANG ! 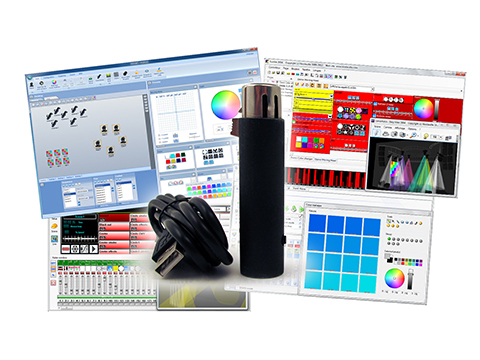 DmxSoft, SUSHI, Sunlite, Daslight, Lumidesk and Easy Stand Alone are part of the Nicolaudie Group. 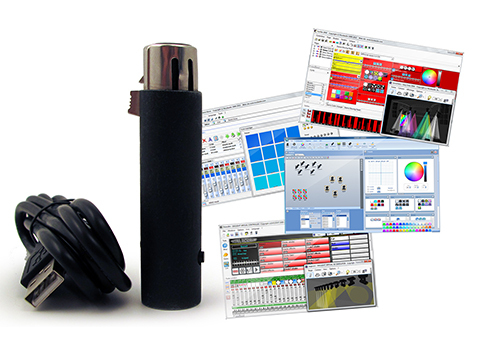 All other registered trademarks are property of their respective owners.